« So How’s That Asset Allocation and Diversification Working Out For You? Just thought I’d get a thought or two in before Ben Bernanke and President Obama give their much anticipated speeches on the economy and specifically “job creation’ tomorrow evening. I’ll follow up this weekend with some thoughts after all the real pundits have their fun over the speeches. Let me just say this, “It doesn’t matter what either of them say. 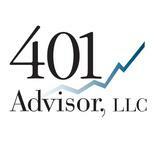 Period.” Do not make any investment decisions, life decisions, job decisions, etc. based on how eloquently either of them layout their brilliant plans for economic recovery. There are two reasons for this, one minor but closer to home, literally. And the other is really THE major issue. Reason minor: No matter what the Fed Chairman or the President says it quite simply will not be enough. It will take a decade, at least for employment to reach the levels we saw in 2007. See below for a Table and explanation from John Mauldin’s Thoughts from the Frontline newsletter. Let me explain. Currently only 58% of the population is working. This is down from 64% in 2007. That means that 6% of 2007 working population has either retired or given up, and they have not been replaced. To re-employ that 6%, meaning bringing them back into the job market requires the creation of 93,000 jobs a month over the next two years. This keeps unemployment at 9%. To understand this, remember that you have to consider yourself as part of the workforce, even if you don’t have a job, to be unemployed. If hiring picks up, many that have given up, will actually start looking for a job, and between the time they start looking and actually find a job, they actually add to the unemployment number. 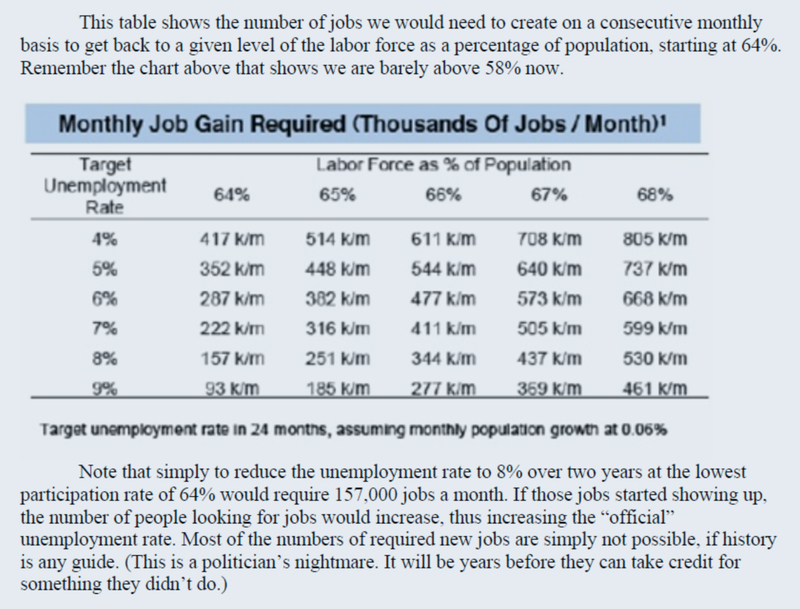 So long story short, to get back to the 6% unemployment of 2007, pre-crisis period AND back to 64% of the population considering themselves “in the workforce” we need to add 287,000 jobs per month for 24 consecutive months. What are the odds? Well based on history, nada. Zero. It has never happened for a 24 month period in U S history. So how close is Greece, the lead domino to default? See the Chart below. 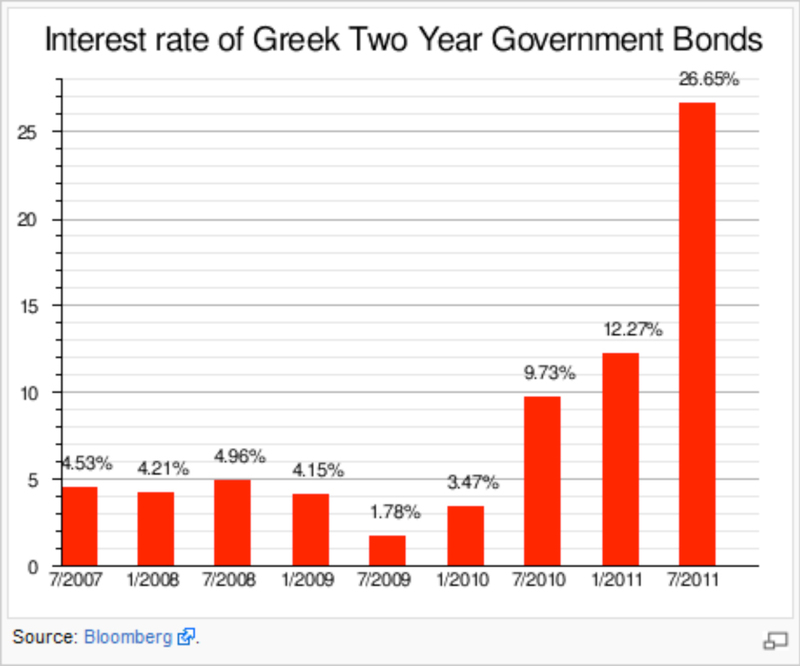 As of July 2011 a two year government bond, issued by the Greek government was paying 26.65%. But don’t stop there. The yield has risen to 46% on September 7, 2011. Nobody, individual, business, or country stays solvent paying out 46% in interest. Greece is dead man walking. Bottom Line: It doesn’t matter what the Fed, Congress or the President can come up with to jump start our economy, if Europe breaks apart. And since that seems like a true possibility, if not probability, we are staying minimally invested, short with ETF’s, or hedged with short ETF’s and dividend paying stocks in all of our portfolios, until we have some clarity from the other side of the pond. Not only can’t Europe survive a Greek default, I’m not sure we can either, as weak as our economy is today.